We came, we mudded, we conquered. 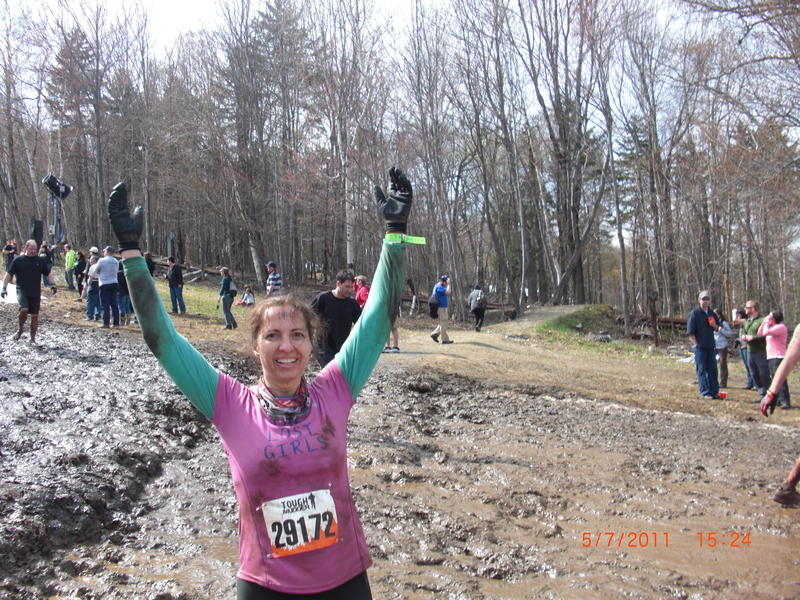 The Lost Girls Race at the Tough Mudder, Mount Snow, Vermont happened on Saturday, May 7. 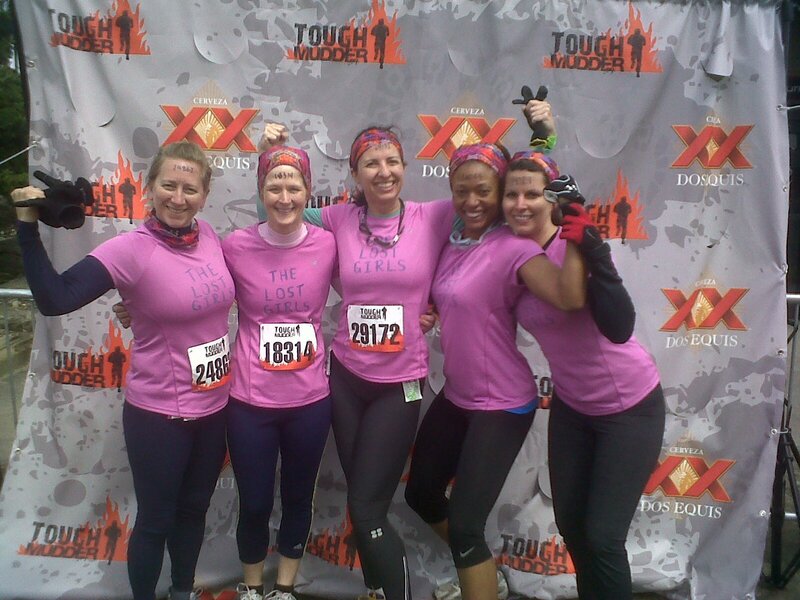 Our team of 5 Lost Girls bravely faced the 10 mile mountain course. Along the way we encountered 28 obstacles while trekking up and down the mountain about a dozen times. It was the hardest fun we’ve ever had. Leave all ideas of looking good at the start line. 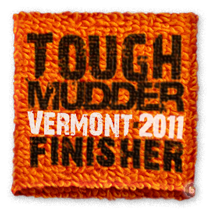 This race is about toughness – both physical and mental – pure and simple. You’ll get bruised and battered and at times wish for a broken ankle so you can have a legitimate excuse to stop the insanity. You’ll do things you never thought yourself capable of…and then do them again. I hate heights, jumping off of things and don’t really love the water either. So when I found myself on a platform 15 feet up with nowhere to go but to plunge into the murky 45 degree water below, I did it. I swallowed a mouthful of the foul liquid on the way down, but surfaced like a champ and coughed it up on my swim to dry land. Melissa scrambled up the glacier like she’d been climbing Mt. Everest all her life. Susan came out of the underwater boa constrictor smiling and actually looking good. Diane made the traverse across the monkey bars look easy while the rest of us fell into the frigid water below. And on every ascent up the mountain Jennieve was the first one to the top. Just a few of the obstacles we confronted head-on: a glacier climb, a series of 12 foot walls, crawling in mud under barbed wire strung 8 inches from the ground, carrying a log up and down the ski mountain and a long rope traverse through a 35-degree pond. The grand finale was to run through a canopy of live electrical wires. My clothing and shoe choices worked like a charm. 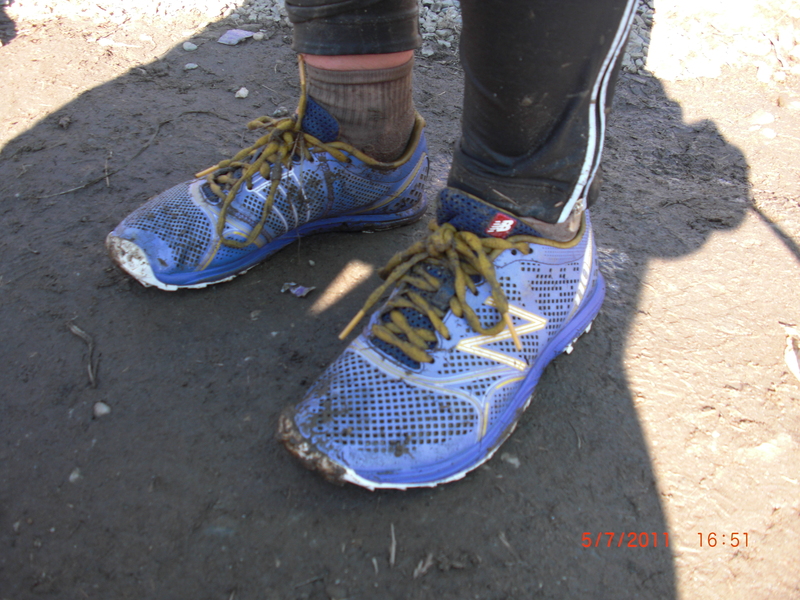 The fantastic New Balance shoes kept my feet as dry as a shoe possibly could when faced with miles of mud, muck and freezing water. The traction on the sole most likely kept me from skidding down the mountain numerous times. 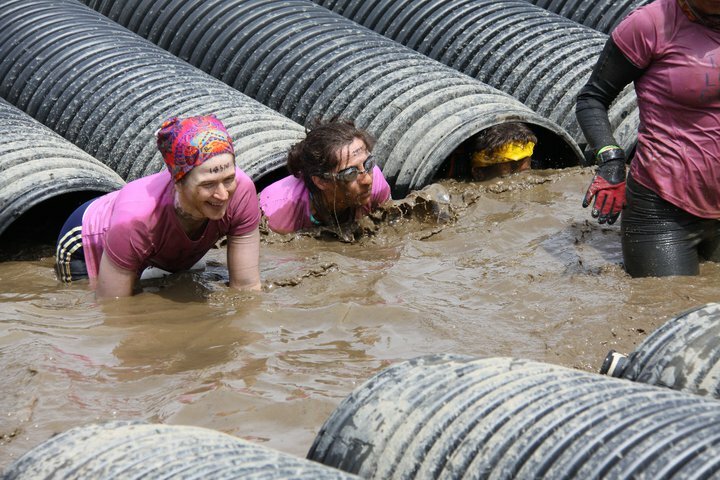 While the swim goggles weren’t my best look, they were invaluable for the underwater boa constrictor and walk the plank obstacles. I’m hoping to resurrect the shoes for use in a future TM event. As well as I thought I’d trained for this event, it wasn’t enough. I have aches and pains in places I didn’t even know existed. My elbows and knees are a mass of cuts and scrapes and I have an 8-inch black bruise on my thigh that I have no memory of incurring. Walking up and down stairs is agony. 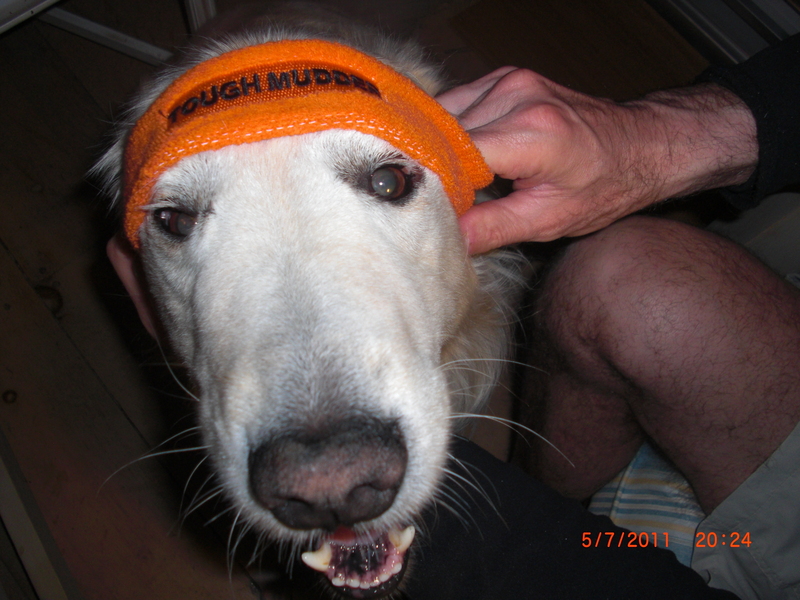 Yet, we Lost Girls (and Benjamin, although he is most decidedly NOT a Tough Mudder) wear our orange headbands – you have to finish to get one – with pride and big smiles on our faces.